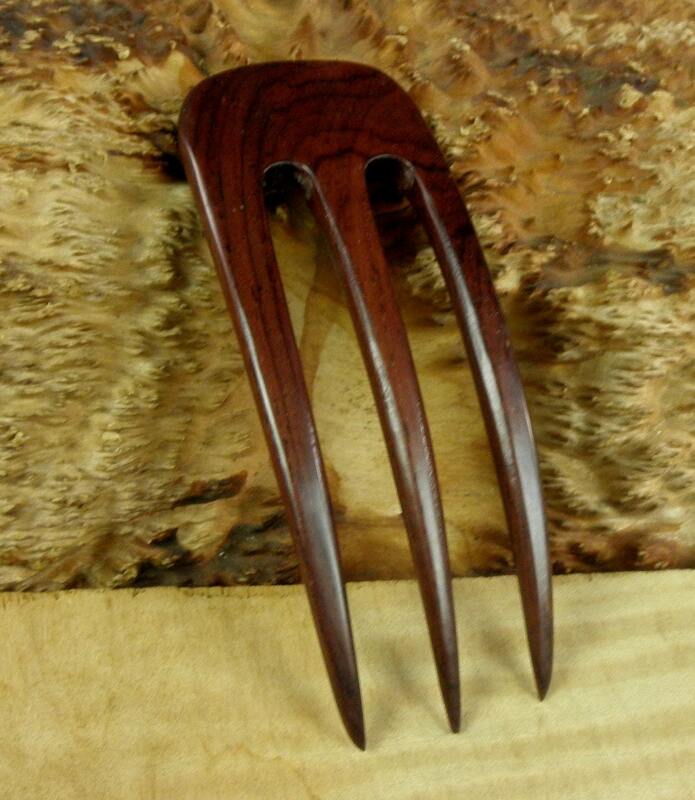 This 5 Inch Laos Rosewood 3-Prong Hair Fork is curved to fit the contour of your head and is a compliment to my other Laos "Rustic Heavy Duty Laos Hair Fork" and differs in that although it is 5 Inches long and lighter it has a longer FPL of a FULL 4 Inches. 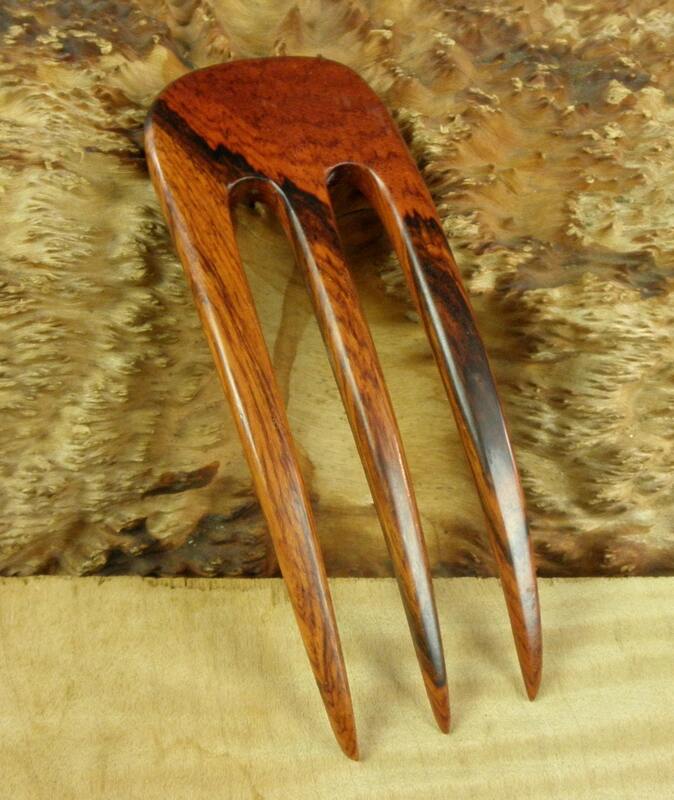 This Curved Laos Rosewood Hair Fork is made for those who want a smaller hair fork that is strong yet holds well, is not heavy so it can be used with thinner hair. It is only 1 7/8 " wide; 5" long and about 1/4" thick. The pictures do not do justice to this Hair Fork. The Functional Prong Length (FPL) is a FULL Four Inches for this 3-Prong Hair Fork and varies within 1/8" from piece to piece. 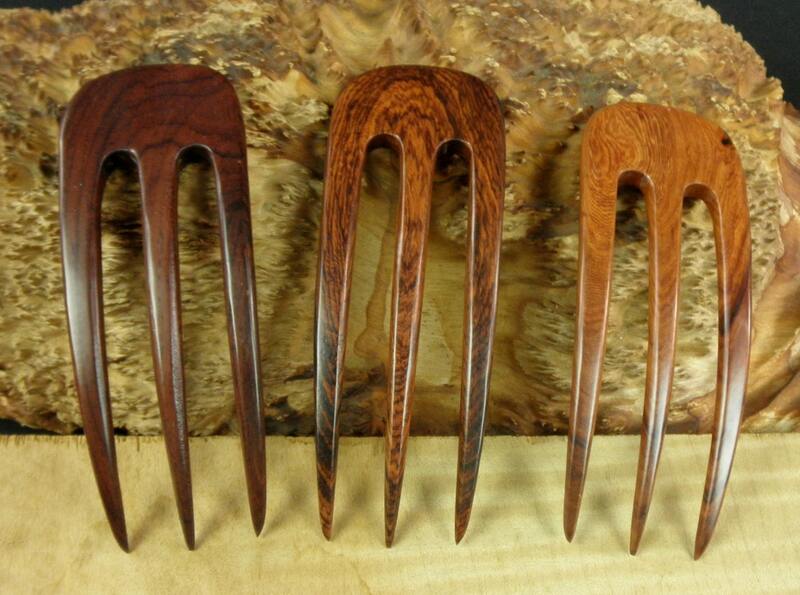 7) 5" Curved Three Prong Hair Fork 1 7/8" Wide and 1/4" thick with FPL of 4"
These Hair forks are being made out of Laos Rosewood and/or Striped Ebony so there are Fourteen different listings here on Etsy . This is the 2nd hair fork I've bought from this shop. 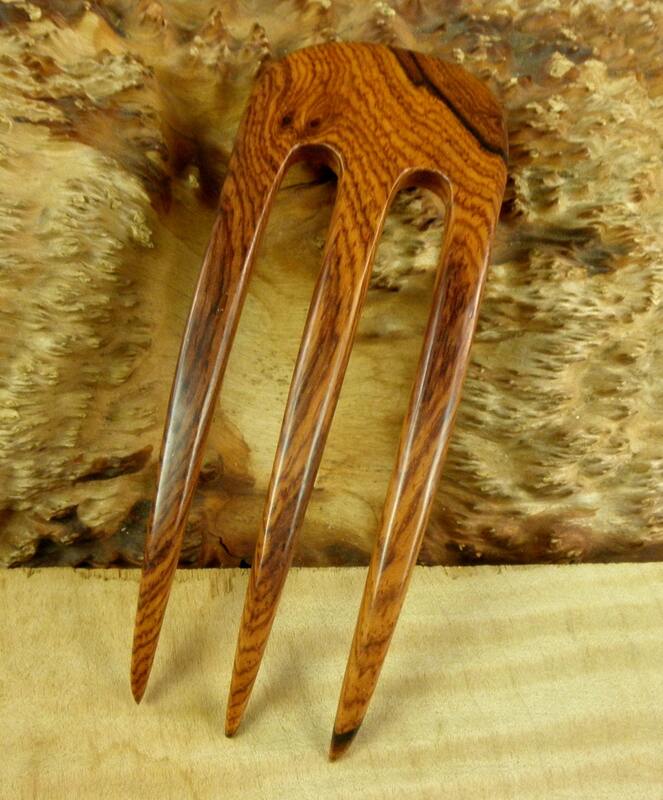 I particularly like these forks because the tines are a bit rounded, making them gentler to insert into my hair styles. 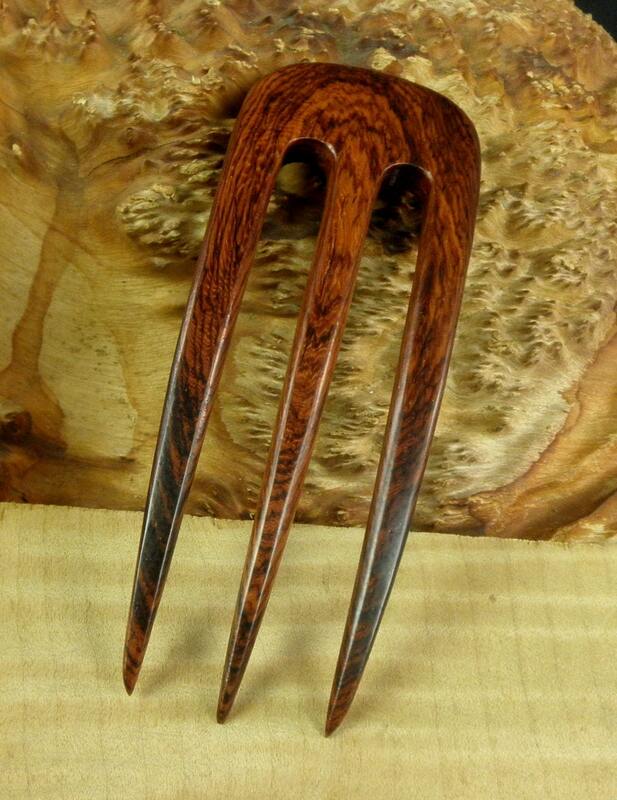 I Love this beautiful hair fork.It is really a nice piece of hair accessory. The seller also added a free hair stick.Thank you so much. This hair fork is very easy to use, put little tension on my hair, and kept my bun secure for hours. It works well on hair that's fairly thick and extends to half my back. The prongs are very smooth and well spaced apart, so there was no snagging. I also appreciate getting the anodized aluminum two-prong hair fork which worked much better than I expected it would for my hair.